Some people play basketball for the competition. Some play for the camaraderie and fun of being part of a team. Others play to relieve the stress of a tough day at work. For Arne Duncan, a prominent education reformer who previously served as the CEO for the Chicago Public Schools and is currently the United States Secretary of Education, all three of these reasons have fueled his love of the game. Duncan’s basketball journey took him from Chicago to Harvard University, where he was a co-captain and academic All-American, to Australia, where he played professionally from 1987-91. 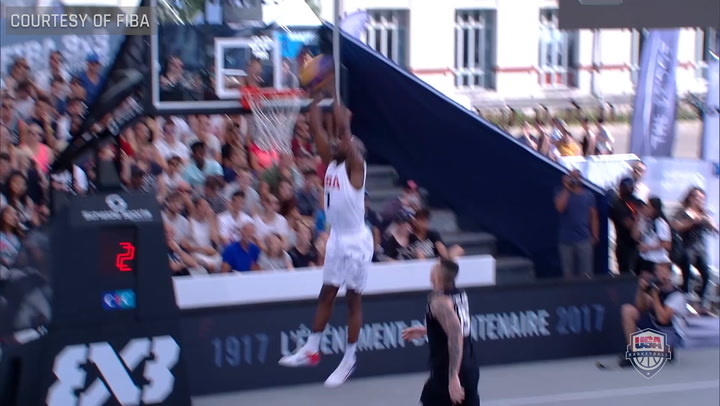 Since returning from Down Under, he’s been a huge proponent of 3x3 basketball. 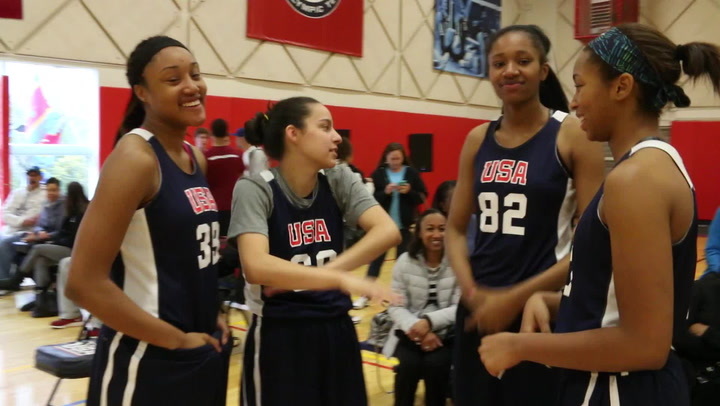 Duncan was in Colorado Springs, Colo., last weekend to support his 3x3 team, Ariel, which won the 2014 USA Basketball 3x3 National Championship on May 11. While Duncan cannot make the trip, the rest of Ariel will be in Moscow, Russia, this weekend competing in the 2014 FIBA 3x3 World Championship. Duncan credits basketball with much more than anything he’s accomplished on the court. Working hard and being unselfish are traits Duncan already had by the time he reached Harvard, but they were cemented in his mind thanks to his assistant coach at Harvard – current Chicago Bulls head coach and USA National Team assistant Tom Thibodeau. Before heading off to Australia, Duncan tried out for the Boston Celtics. Despite the fact that his college career was over, Thibodeau – whom Duncan calls “a lifelong friend” – went the extra mile to help him. “Once I finished my senior year, I was no good to the team anymore at that point. The amount of time and energy he put into helping me get better was something I never forgot and never will forget. Duncan said his favorite thing about playing basketball is being part of a team, and that he feels fortunate to still be out on the court competing and winning. He also recognizes the value of basketball as a stress reliever. Not only for him, but also for his current boss – President Barack Obama. The game has been such a big part of Duncan’s life, it’s no surprise that his 10-year-old son, Ryan is starting to play organized basketball. He brought Ryan with him to Colorado Springs for the USA Basketball 3x3 tournament last month, and said it means a lot to him to have his son experience a trip like that. Duncan is a big believer in what basketball can do for people off the court. “I would say basketball absolutely reveals your character,” he said. “You can’t fake who you are as a person on the court – whether you’re selfish, unselfish, whether you have an ego, whether you don’t care if you lose, or winning means everything to you. There’s just so much about how people play that tells you about their character. FIBA has released the #1 player per country and gender for the end of 2015 and the beginning of 2016 and it includes USA Basketball's own 3-time medalist for 3x3, Arike Ogunbowale! 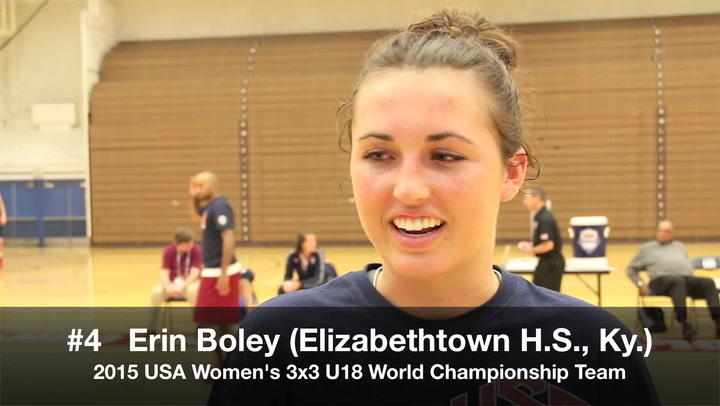 Although Erin Boley (Elizabethtown H.S/Hodgenville, KY) was a late add to the USA 3x3 U18 World Championship Team, her ability to contribute wasn't in question, not after earning MVP honors at the 2015 USA Basketball 3x3 U18 National Tournament. 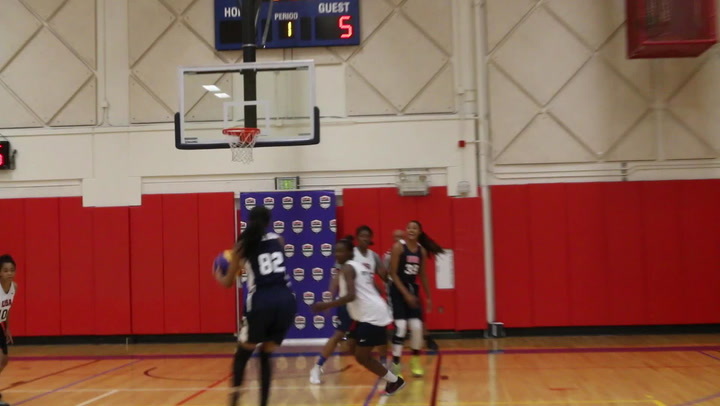 The International Olympic Committee announced the addition of men's and women's 3x3 basketball to the Olympic program starting with the Tokyo 2020 Olympic Games. T.J. Bullock lost his mother to breast cancer in 2013, but her fight inspired him to help others, and now, one 3x3 team is in the USA Basketball 3x3 National Tournament because of his efforts.